Carole's Chatter: May we all be winners today! May we all be winners today! That is how I try to live. 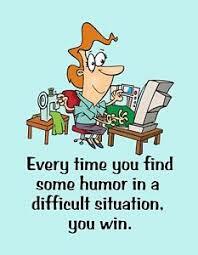 make a quick jest and laugh and move on.